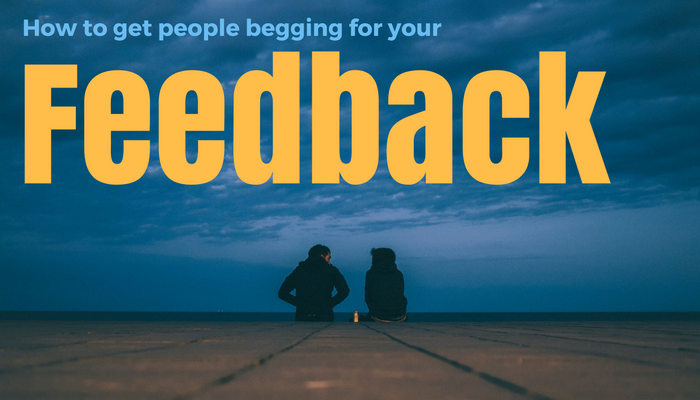 How to get people begging for your feedback! I once made someone cry because of the feedback I gave them. I didn't mean to, of course. But it happened. I spent many years pursuing my dream of becoming a professional percussionist, wanting to play in an orchestra or any ensemble, for that matter, that would pay me to hit a drum. And while there was a bit of a transition period between being the student and becoming a pro, one day I was there. I, dressed in my second-hand tuxedo, was being hired and making a living (albeit meagre) as a freelance player in the big smoke. Shortly after that, I found myself no longer the student but the teacher when I applied for and got hired by the Royal Conservatory of Music as a percussion instructor. And while my playing resume was not too shabby by then, my teaching experience was limited and no one had ever talked to me about how to give good feedback to my students. All I had was what I had experienced myself, the way I had been taught, the good and the bad. I left the Conservatory a few years ago after having given feedback in over 15,000 private lessons and in some 2000 rehearsals. While I did make someone cry once (ok maybe twice), I did figure out a few things about getting people to really want the feedback you have to offer. Hate giving feedback? You're not alone! If you feel that giving feedback is not your thing, you’re not alone. In a 2014 study done by Zenger Folkman through Harvard Business Review, they captured the results from 2700 respondents regarding various aspects of feedback. Another result I found interesting was that older (baby boomer) leaders prefer giving positive feedback while their Gen Y counterparts prefer not to give either positive or negative feedback. None of this is good because, without feedback, it's really hard to improve. On my path to being a professional musician, I received feedback through private lessons with various teachers, rehearsals with a wide variety of conductors, and from many colleagues. I think it's fair to say I learned something from every bit of it, but I can assure you there were some people who were simply better at delivering that feedback than others. Some people just seemed to know the right approach to take, the right words to say to inspire me, make me better, push me, excite me, and, at the same time, not make me feel stupid or inadequate for what I did not know or couldn't yet do. There were others who, for whatever reason, gave me feedback that was like a punch in the gut, the kind of feedback that weighs on your mind for the rest of the day or longer, that lodges itself in your brain and chips away at your confidence on your bad days, that can your affect your performance in a bad way if you let it. This is the power of feedback and why giving people feedback is such a big responsibility. As people sit there waiting for your words, they are at their most vulnerable. They may even be scared. I have had the great privilege of teaching many wonderful students (children and adults alike). 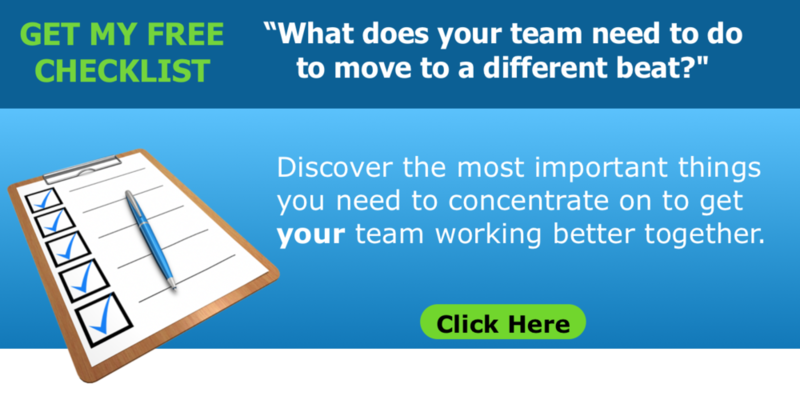 I spent the majority of that time evaluating someone's hard work and giving them feedback. During that time I had one mantra: I wanted people to want to hear, not fear, what I had to say. What's the biggest thing that teaching all those students taught me about giving feedback? Treat people like the individuals they are and put yourself in their shoes. Here's the part that keeps me humble: while I thought I was pretty good at doing that, I still occasionally got it wrong -- wrong because sometimes I didn't realize how vulnerable someone was in that moment after playing for me, and I didn't put myself in their shoes. I can't say it enough: Treat people like the individuals they are and put yourself in their shoes. Guess how I reacted when I worked with someone who inspired me or showed me how to be better in a positive. They became my go-to's any time I needed another set of ears. Truth is, if you take the time to figure out how you can really help someone improve as a person, or help someone gain or improve their skills without making them feel like they weren't good enough, they're not going anywhere but where you are. Good constructive feedback will propel your people and your organization toward where they need to go. Here are my top 9 tips to giving feedback. 1) Start your conversation by talking about goals. Review the goals that are driving all the activities that need to happen. Don't be afraid to come back to those goals during the conversation because they can get buried under a pile of how-to’s, you-should’s and next-time’s. 2) Ask questions. Get their perspective on the situation before you start. Knowing their "why" will give you a better understanding of what to say to help. Now you’re have a conversation, not just talking at them. 3) Be a chameleon. Know who you are talking to and design your approach just for them. 4) Try to look at the big picture, not just at what they are doing. Are there internal or external factors causing them to do things in a certain way? 5) Be inspirational. Share your picture of what success looks like, both your organization's success and their success. 6) Watch your timing. Knowing when to give someone feedback is even more important than the feedback itself. You want to make sure people are in the right frame of mind to hear what you have to say. If you can give some good casual feedback right after a situation, then do so. That’s the best time. One caveat here : take care not to seem like you are nit-picking or micro-managing. 7) Make sure you understand how see they you. In other words, be aware of the kind of relationship you have to the person to whom you're giving the feedback. That will help you choose your words. Think of how you behave when you're having dinner with some people you barely know versus dining with long-time friends. Just because you work together, it doesn’t mean you're friends. 8) Be supportive. The point of feedback is to get people to be the best they can be. For some that you manage, that may mean making some changes in how they do things. Many changes in habits or new routines can take time to take hold. It’s important to check in on, support and recognize the efforts people are making. 9) Be complimentary. This may come off as being a bit sappy but I don't think we compliment each other enough in life. We take so much of what other people do for granted. If you're in charge of monitoring someone's performance, complimenting them can go a long way toward creating a positive work environment. That is one thing I really like about being a musician: we tend to be pretty good at saying to each other "nice playing". Remember - giving feedback is not about looking for things that are wrong. It's about looking at how to make someone better. "You can always find something wrong with someone if you go looking for it." That’s not feedback. That’s being critical and finding reasons to bring them down; it's a bad place to start a conversation. Btw- it's worth mentioning that not everyone receives feedback well, even if it is presented thoughtfully and appropriately. I know I had a hard time when I was a younger musician, primarily because of my ego. It took me a while to realize that when someone is giving me feedback, they are giving me a gift. If you know someone like that, you might want to share this previous blog post: How to receive feedback like a Japanese shopkeeper. So there you go... It's good to remember that people aren’t perfect. The way they do things is not perfect. If the goal of your feedback is simply to help people be the best they can be, they will see that. Once they know that's how you do things, they’ll be begging you for your feedback. Because - who doesn't want to be around someone who makes them better? By the way, if you're so inclined, I'd welcome your feedback on this post, my blog or my website. Please remember though, I'm the sensitive artistic type. What I learned about mistakes that you need to know. Older PostHow to work with eccentric people and not go crazy.